Growth form: Annual herb. Flowering. Feb–Mar. Status: Native. Common. Also recorded: Bahrain, Kuwait, E Saudi Arabia, UAE. 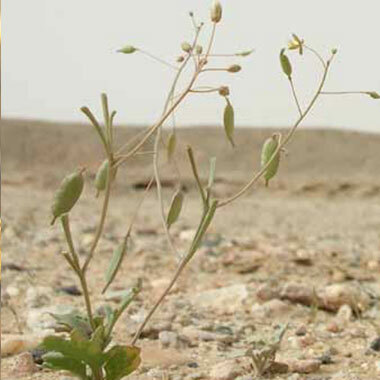 Habitat & distribution: Occasional to frequent on rocky ground and shallow, compacted sand; especially SW Qatar. Uses: Rizk & El-Ghazaly report that in Bahrain the leaves are used as purgative and hypoglycaemic.